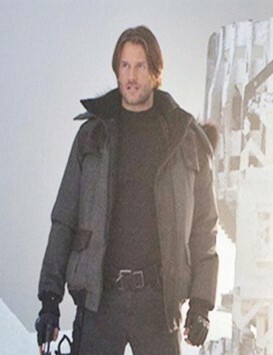 Leon in RE:Retribution 2012. . Wallpaper and background images in the Leon Kennedy club tagged: leon scott kennedy resident evil leon s kennedy leon kennedy resident evil retribution johann urb johann urb as leon s kennedy johann urb as leon kennedy resident evil retribution leon. This Leon Kennedy photo might contain 겉옷, overclothes, 겉 옷, overgarment, 겉옷, 외투, 겉 옷, 잘 입고 사람, 정장, 바지 정장, 잘 차려 입은 사람, 양복, and pantsuit.